AFRICA, SOUTH AFRICA, INDIA, UK, BRITISH, AUSTRALIA, CHINA, EUROPEAN "UNIVERSAL" PDU 6 OUTLET 13A-220V MULTI-CONFIGURATION PDU POWER STRIP. Description: SOUTH AFRICA, INDIA, UK, BRITISH, AUSTRALIAN, CHINA, EUROPEAN, USA (NEMA) MULTI-CONFIGURATION 5 OUTLET 13A-220V PDU POWER STRIP, ACCEPTS A,B,C,D,G,E,F,G,J,K,M & NEMA 5-15P, 6-15P, 5-20P, 6-20P TYPE PLUGS, C-14 POWER INLET, SURGE PROTECTION, ILLUMINATED ON/OFF CIRCUIT BREAKER, 50/60Hz, SHUTTERED CONTACTS, 2 POLE-3 WIRE GROUNDING (2P+E). BEIGE. Note: Adapter # 30140-A or # 74900-SGA is required when power strip is used with European, German, French "Schuko" CEE 7/7 & CEE 7/4 plugs. 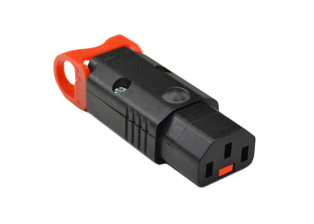 Adapter provides "Earth" grounding connection from CEE 7/7, CEE 7/4 plugs to power strip. 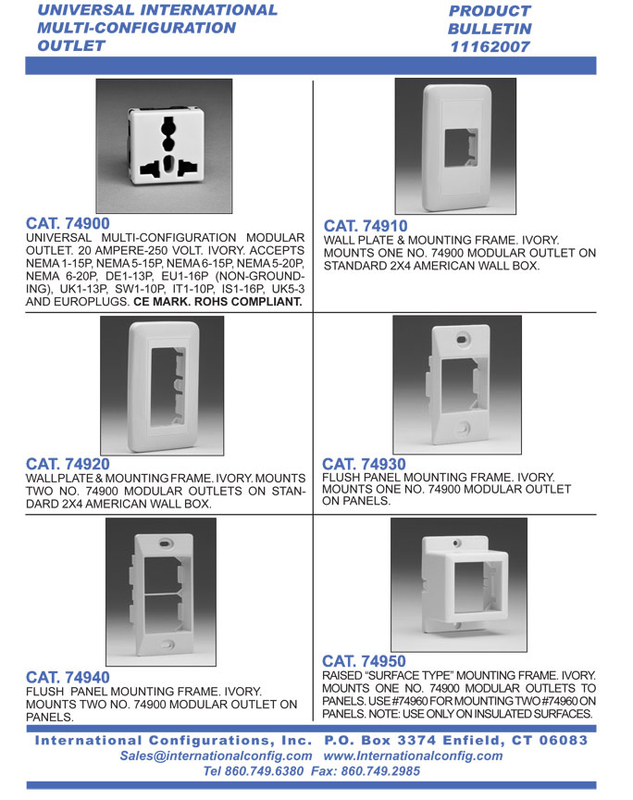 Note: For South Africa 16A-250V SANS 164-1, India 16A-250V IA16A3 BS546 plug type M applications use # 58210, 58205-C14, 58205 power strips. 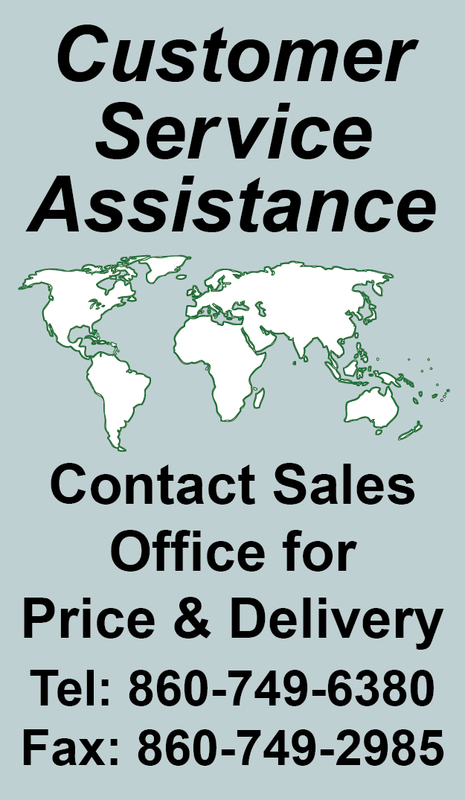 Note: For South Africa 16A-250V SANS 164-2 plug type N and India 5/6A-250V IA6A3 BS546 plug type D applications use # 58206, 58206-C14 power strips. 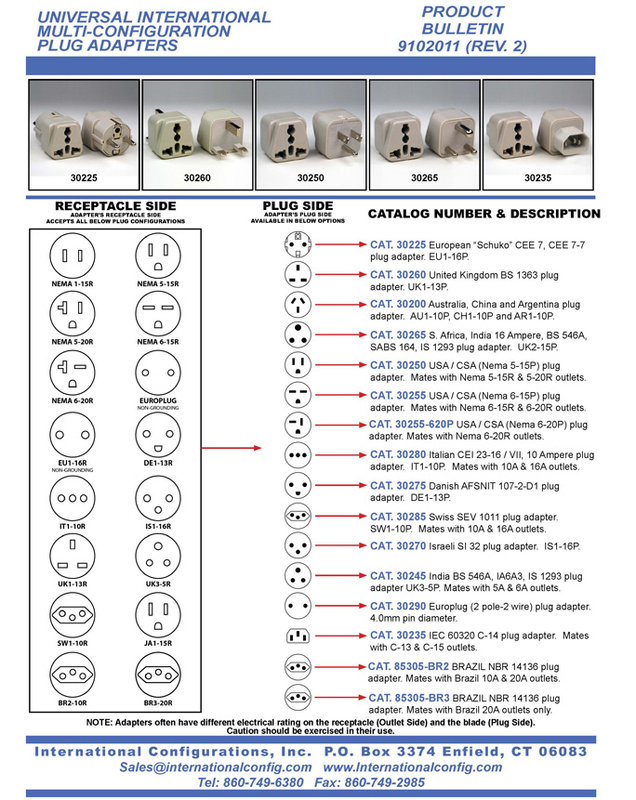 Power Cords, Plugs, Outlets, Connectors are Llsted below in Related Products.Scroll down to view.